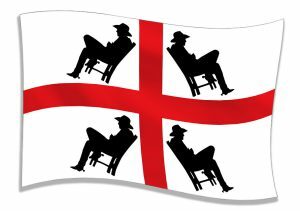 Aligned on St. George’s Cross, a relaxed Texan rests where the Four Moors are found on the traditional Sardinian flag. This Sardo-Texan Flag sends a mediterranean salute to flag day in the U.S. Io non sono Sardo, sono sardonic! Congratulations to the lucky winner of Sporty’s Legend Cub Sweepstakes! For the second time Sporty’s Pilot Shop has awarded a new Legend Cub to a customer, first in 2013 and now again in 2017. Keep your eyes open for the next great partnership between legends in general aviation. If you didn’t win, now is the time to order your new Legend Cub or Super Legend by visiting www.legend.aero today.